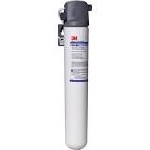 3M offers filter housings and systems for your water filtration needs. 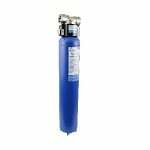 Whole house filters can be installed as the water enters your home to allow all of the water in your home to be filtered. 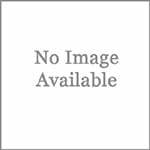 An under-sink system can be installed to filter your water used for drinking and cooking. 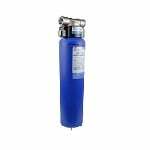 The 3M HC351-S Hot Beverage Replacement Cartridge reduces chlorine reduction and has the capability of reducing fine particles associated with cloudy beverages. 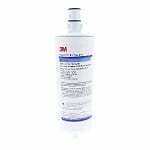 3M 3MWTS100 Water Softener System 1.0 cu. ft. 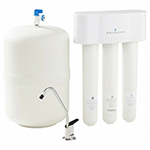 The 3M Aqua-Pure 3MWTS100 Water Softener System is ideal for reducing mineral and scale build-up that can occur throughout your plumbing over time. 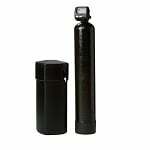 3M 3MWTS150 Water Softener System - 1.5 cu. ft. 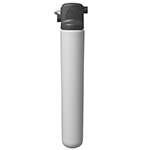 The 3M Aqua-Pure 3MWTS150 Water Softener System is ideal for reducing mineral and scale build-up that can occur throughout your plumbing over time. 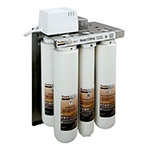 The 3M Aqua-Pure 3MWTS200-125 Water Softener System is ideal for reducing mineral and scale build-up that can occur throughout your plumbing over time. 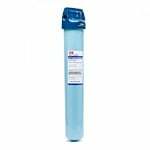 The 3M 50-94101 Adapter Kit is for the 3M 3MRO501 Under Sink Reverse Osmosis Water Filter System. 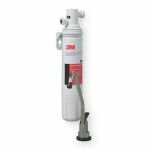 The 3M USF-C RV / Marine Undersink Filtration System is a chemical reduction filter that provides clean, great tasting water for any sink! 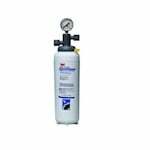 When you leave the house, leave the bottled water at home and install the USF-C in your boat or RV today!